Well the deep freeze that took over much of the U.S. almost derailed our trip completely! We hopped aboard the E & E plane and made our way to Gabon where will be for a few days. We have set up camp next to a lake. We decided to spend the day looking for a fun little fish. 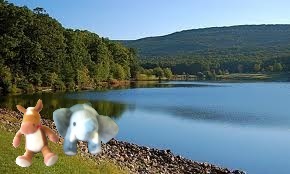 Edmond grabbed his snorkel (Elephants don’t need them) and took a dip. The lake was very murky and dark, but we had such fun looking at all the inhabitants. 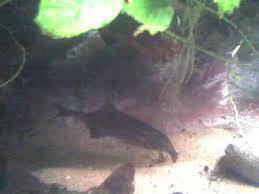 After swimming for a while we finally found the little fish we were looking for, the elephantnose fish! This little fish is so fun! 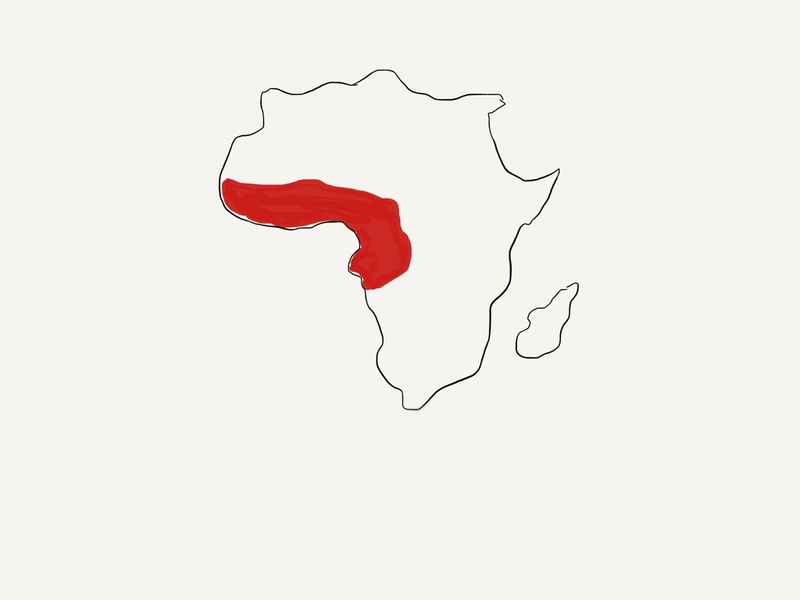 Their range and habitat: lakes, rivers and ponds in West and Central Africa. 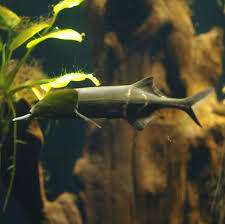 They are carnivores (they eat other small fish). Elephantnose fish have very large brains. They brain body size ratio is almost the same as humans. Elephantnose fish are very intelligent and playful. They have a long appendage on their chin that they use to find prey in the mud. 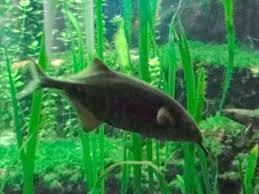 Elephantnose fish have weak electrical system to help them get around the dark waters they live in. (Don’t worry we didn’t touch one). What a wonderful day! I am exhausted. Edmond is cooking up oats and hay stew for our dinner. We had such fun meeting the elephantnose fish! I really wanted to compare my trunk to his barbell, but he didn’t seem to want to do that! It’s time for dinner at our camp! 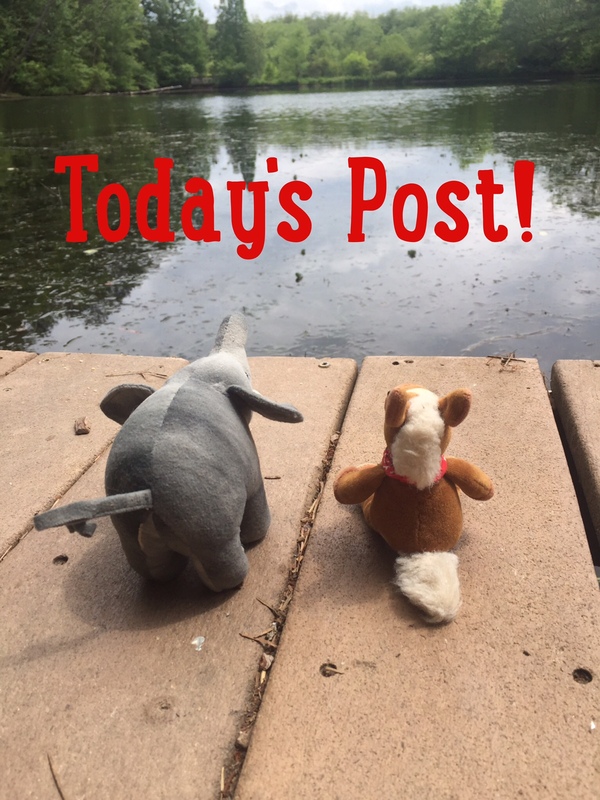 Tomorrow you’ll have to guess the animal we met! See you then! There’s a fish that looks like an elephant? I never heard of this!! Well, okay, so not quite, but he looks pretty cute all the same. Glad you finally made it out of the US and had fun in the lake.